It is neccessary to always prevent our smartphone from crashing because once crashed, you may find it difficult to fix and this has been most smartphone user problem. For some, it’s an everyday struggle even though they shouldn’t be. But most of us don't know.the reason why app crashes, some thin it's a normal thing while some, the app is bad or corrupted which it's not suppose to be. 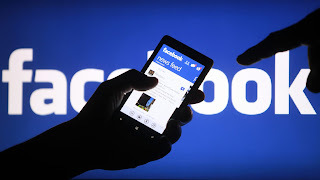 There are so many reasons while app crashed but today, we shall we shall try as much as possible to fix the issue of Facebook app crashing once and for all. Do you even know or notice that Facebook app crashing occurs after system updates. That is the number one reason for Facebook app crashing but nevertheless, I will be showing you the solutions on how you can fix the issue of Facebook app crashing easily... Let's get started..
>>Tap Clear Cache and then Clear Data. >>Restart your device and try out Facebook app again. That's all for second method. >>Navigate to Settings > Advanced settings > Security, and enable Unknown sources. Install the older downloaded app and you are good to go. That's all for all the methods, if it seems all the 4 Methods above doesn't works, then I’ll advice you should upgrade your smartphon Operating System. MakeoverFusion.com - Best Beauty Salon In Gurgaon, Haryana offering Makeover services like hair cutting, spa, massages and bridal makeup.For any enquiry call 0124-4799109.